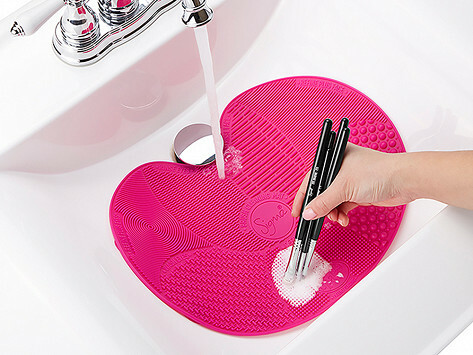 The Sigma Spa Brush Cleaning Mat is an innovative device featuring 7 patented textures to wash both eye and face brushes. The mat includes suction cups on the backside for secure placement on flat surfaces. Uniquely designed to fit most sinks. Dimensions: 13.25" x 10" x 0.25"
This sure Beats doing this in my hand(LOL). So glad I bought this, makes this job easier and faster. Worth the Money! Purchased as a gift. Recipient was thrilled. This mat works beautifully! It doesn't destroy the brush and they are really clean!